I always combine these two memes because they are very similar. Say it Forward was started by Five Minutes For Mom and is a carnival recognizing top commenters. 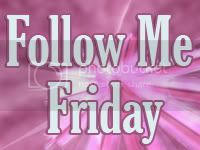 Follow Me Friday was started by On The Verge and recognizes followers. I believe that followers or subscribers and comments are equally important so I will feature both. Amy at Keeping up with the Schultz Family quickly became my top commenter. She is the mother of Alyce and writes about her beautiful little girl and her life as a mom. 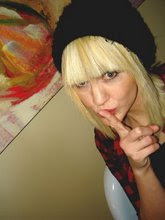 Her blog is cute, original and creative. I enjoy reading the articles that she writes in her daughter’s words. 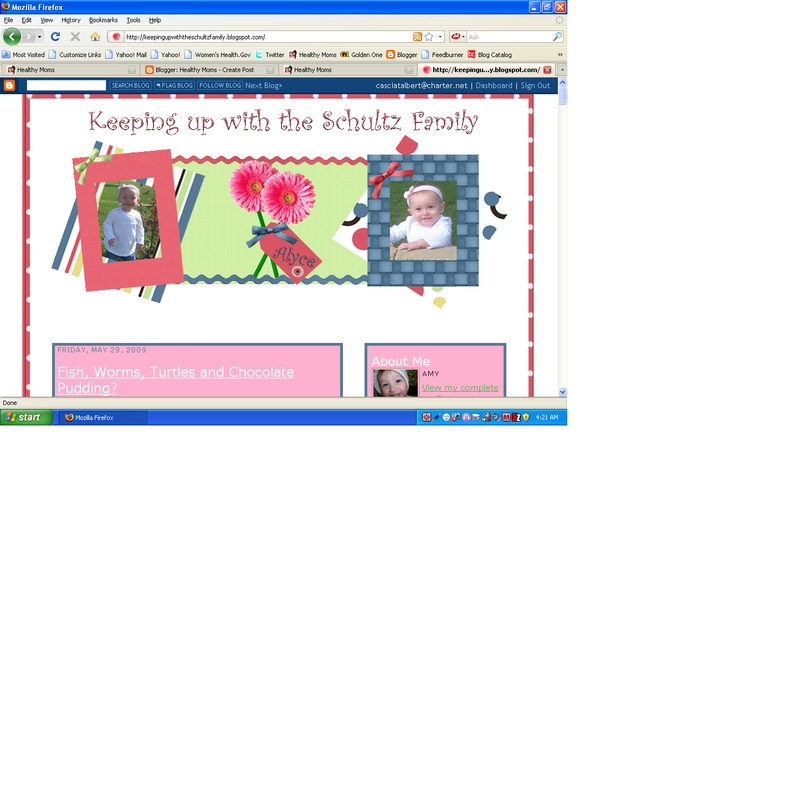 If you are looking for a fun and entertaining blog you should add Keeping up with the Schultz Family to your daily reader. Thank you Amy for being a loyal commenter here on Healthy Moms! You can pick up your Say it Forward badge over at Five Minutes For Mom. I love getting new followers. Every week this blog gets about 5-10 new followers. Hopefully this will grow even more. This week I will feature a few different followers and say a little about each. 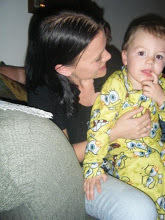 JoEll is a very busy mommy to “Little Man.” Not only does she have a wonderful blog she also sells Avon and Cookie Lee. Her blog, Life With a Toddler, is just that all about being a parent to her little boy. She also writes lots of product reviews, and participates in several memes. Life With a Toddler is a great blog to add to your daily reader. Thank you JoEll for following Healthy Moms! Kenzie Poo is a blog written by the mom of little Kenzie and dedicated to her and her daddy. This mom writes all about her baby, essential products for babies and giveaways. If you are expecting a baby soon or are a parent of a little one you should visit Kenzie Poo and add it to your daily reader. Thank you Kenzie’s mom for following Healthy Moms. The folks over at Sweet Sensation Therapy also started following Healthy Moms. 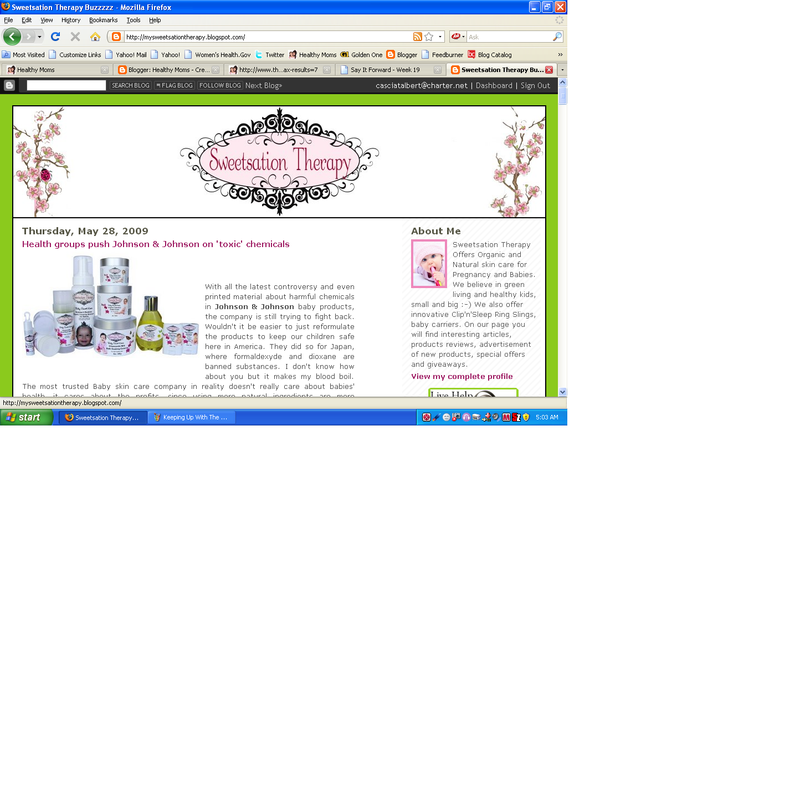 Sweet Sensation Therapy offers “Organic and Natural skin care for Pregnancy and Babies. We believe in green living and healthy kids, small and big 🙂 We also offer innovative Clip’n’Sleep Ring Slings, baby carriers. On our page you will find interesting articles, products reviews, advertisement of new products, special offers and giveaways.” Visit Sweet Sensation Therapy today. You’ll love their great products! I might have to try them out myself! If you haven’t visited these blogs stop by and say hello and congratulate them for being featured on Healthy Moms. Have you added us to your Google Friend Connect yet? Follow Healthy Moms and you never know you may see your smiling face here next week. You are so sweet. I love how you show your appreciation to all these wonderful bloggers with these posts! Both are great memes. I agree about the importance of recognizing followers as much as commentators. Too bad WordPress doesn’t have the Followers function like Blogspot. It would be a cool widget to have. Thanks so much for giving me a shout out!! I truely appreciate it! Very Sweet. 🙂 Love your blog by the way!